Whatever the event, whether it’s Bonfire Night or New Year’s Eve, fireworks can be upsetting for dogs and their owners. Whilst we would all like to enjoy the fireworks, we worry about how it will affect our four-legged friends. Here’s some tips that will help to understand our dogs better and make them more comfortable whilst we enjoy the fireworks. Why is it that some dogs are frightened of fireworks, whilst others are not affected by them at all? The way we nurture them could be a factor. Dogs who aren’t used to hearing the type of noises associated with fireworks, are less likely to understand what is happening, therefore are more likely to be easily startled and feel anxious. 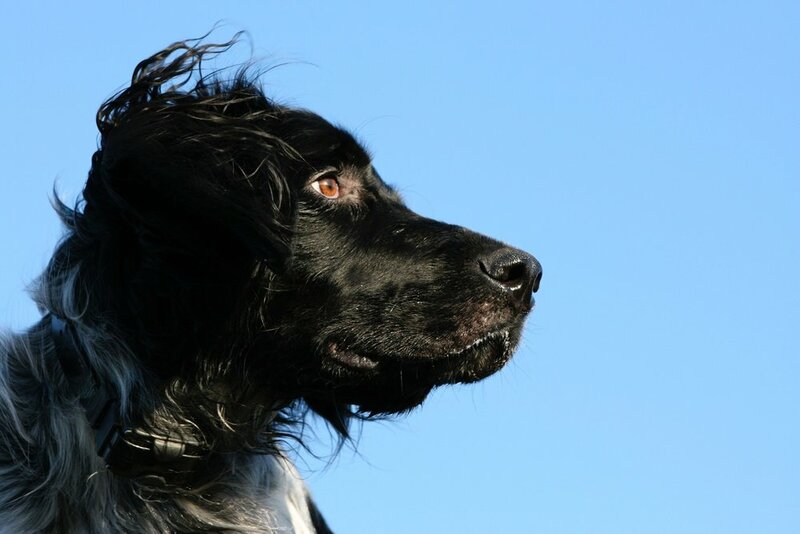 Dogs who have grown up in an environment exposed to similar noises, Gundogs for example, become less sensitive to these noises and do not experience the same fear. It might be possible to change your dog’s reaction to fireworks in the lead up to Bonfire Night and New Year. Try exposing them to recorded sounds of fireworks and give them a treat whenever you do. This helps them disassociate fireworks with negative emotions and helps them become less sensitive when November comes, as they’re already used to the sounds. Help to get your dog’s mind off the fireworks by creating distractions. Try playing soothing or ambient noises, turn on the TV or the radio to drown out the loud bangs outside. Play their favourite games with them or provide them with treat toys, like Kongs, but don’t overdo it as too much fuss can also have a negative impact and they’ll come to expect it – see tip 6! 2. Are they afraid of thunderstorms? Do you ever wonder why your dog can nap through an entire thunderstorm, but doesn’t like fireworks? Behaviourists seem to think this apparent paradox is due to environmental factors. 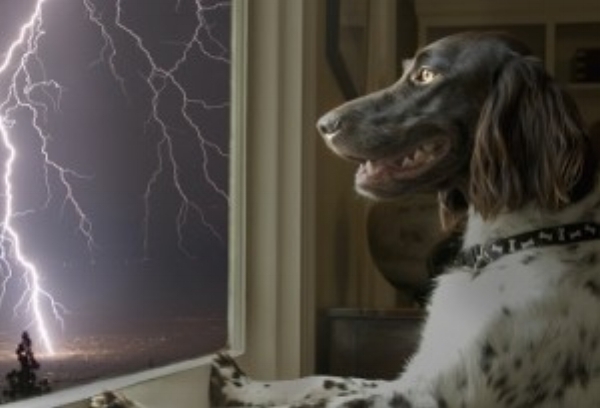 Dogs can feel thunderstorms approaching due to wind and temperature changes, along with variations in barometric pressure. They’re more prepared for it and are thus less likely to be startled. The abruptness of firework noises however, can frighten a dog who is completely unprepared for it. If your dog is likely to feel threatened by the loud noises, prepare a safe space for them. Try picking one room in the house which is the quietest and fill it with their favourite things. Make it comfortable with an old blanket, food and your dog’s favourite toys so they feel secure in it. Dogs also pick up on your energy, so if the atmosphere in your house is one of calm and relaxation, they will be very receptive to this and it can transform their state before the fireworks. It may seem natural to give your dog lots of extra attention and cuddles when they are scared, but you might be making things worse. Treating your dog differently during fireworks reinforces their feelings that something is wrong. Getting agitated over your dog will worsen your dog’s nerves. Remember dogs pick up on energy from their humans, so act normal if you want your dog to stay calm too. Try not to leave your dog alone, sometimes your presence makes all the difference. If your dog is still likely to get nervous by the sound of fireworks, you can try getting them a pressure vest, Thunder Shirt or Thunder Vest. These wrap around a dog’s body and provide constant, gentle pressure, simulating the feeling of a hug and can have a dramatic calming effect for most dogs. They are a drug-free, all-natural treatment for your dog's anxiety. You could also try an ADAPTIL Plug in Diffuser which soothes your dog in stressful situations, giving it a feeling of security. ADAPTIL is the synthetic copy of the natural "dog appeasing pheromone" released by the mother dog 2-3 days after giving birth. This pheromone comforts and supports her puppies and has been proven to have a comforting effect on both puppies and adult dogs during stressful situations. Keep your dogs safe and protected indoors with our tips and enjoy the firework season!